I have been creating, I just haven’t had the time for the additional step: posting here. I am working on a couple of submissions that are due soon. And I am looking forward to a couple more magazines coming out soon, that will have my work in it. Stay tuned, as soon as they are out, I will let you know. Exciting stuff, though. 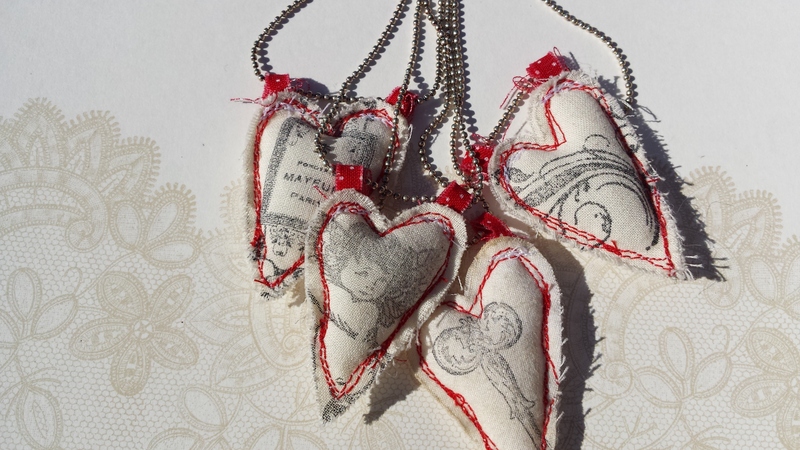 In the mean time, I am going to leave you with a few stitched hearts, just in time for Valentine. I listed a few in my shop.